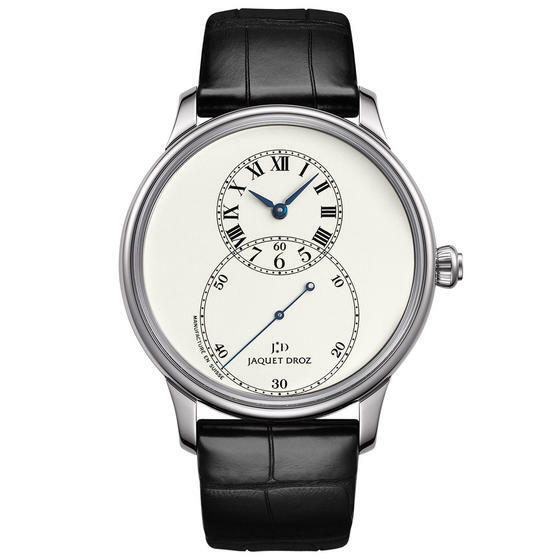 Jaquet Droz introduced the Grande Seconde model in 2002, taking inspiration from one of the brand's pocket watch created in the 18th century. The model soon became one of the flagship models of the La Chaux-de-Fonds watchmaker. 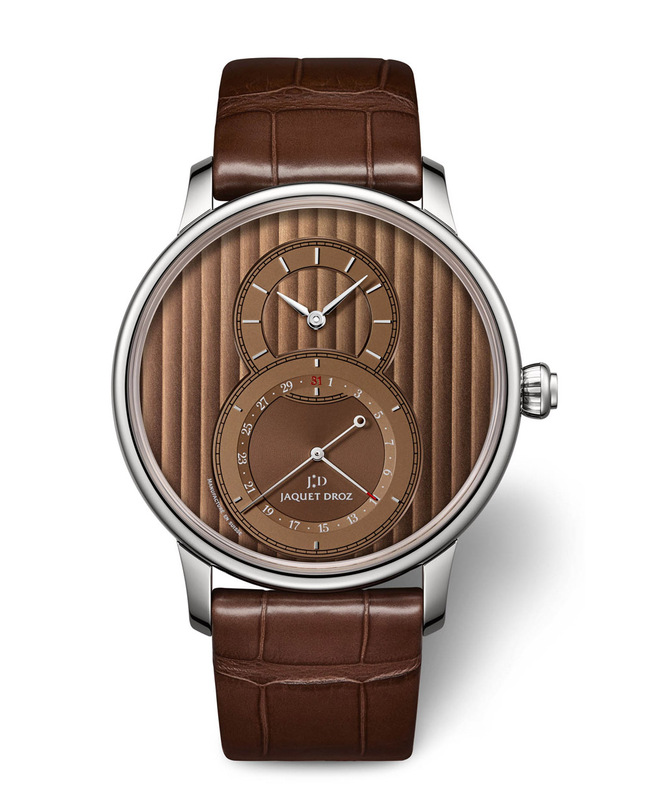 At BaselWorld 2013, Jaquet Droz introduced the Grande Seconde Quantième with fresh new colours and baton hour markers. In addition to hours, minutes and seconds, the Grande Seconde Quantième features a pointer-type date display at 6 o'clock. The Grande Seconde Quantième is available in blue or chocolate. Dials are decorated with Geneva stripes which create nice play of hue as the light changes. 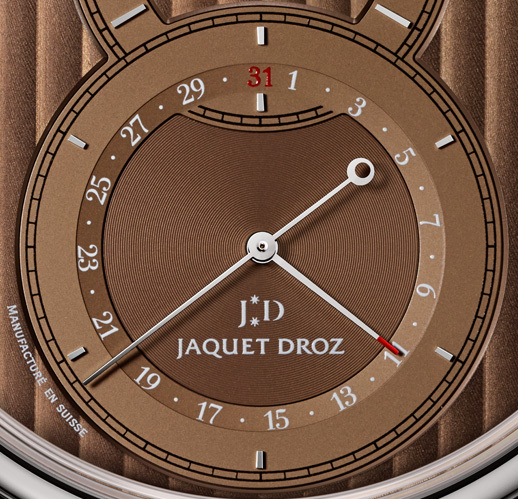 The 43 mm stainless steel case houses the Jaquet Droz 2660Q2 automatic movement. 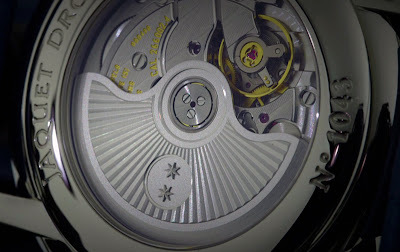 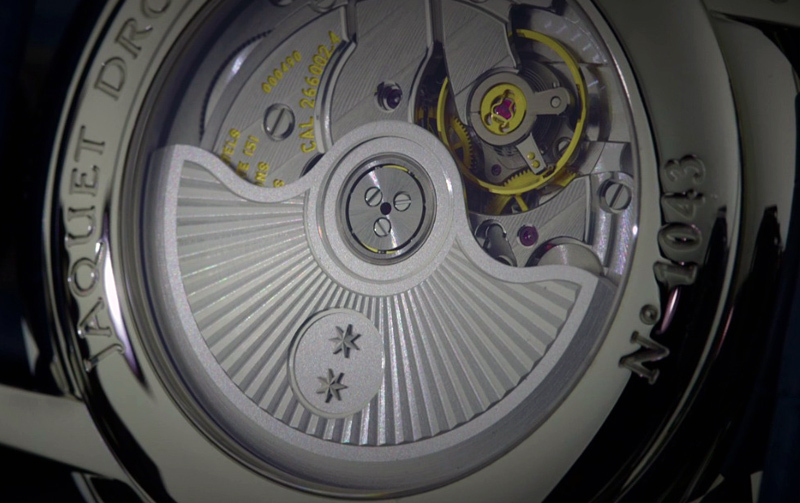 Thanks to the double barrel, the movement offers 68 hours of power reserve. 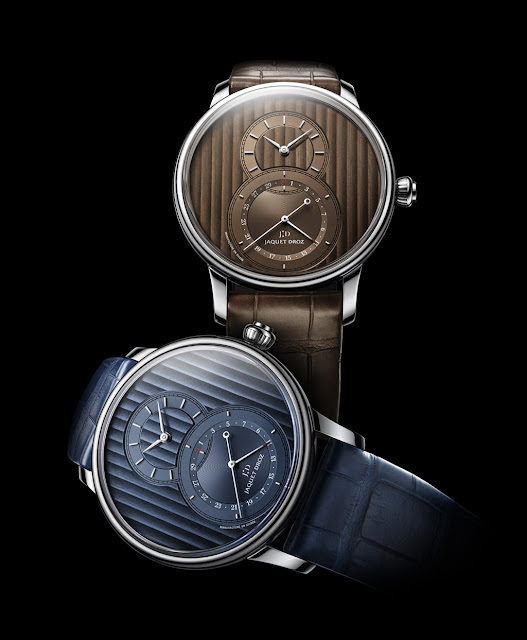 The straps, in dial-matching colours, are made of hand-made alligator leather are secured by a steel folding clasp.